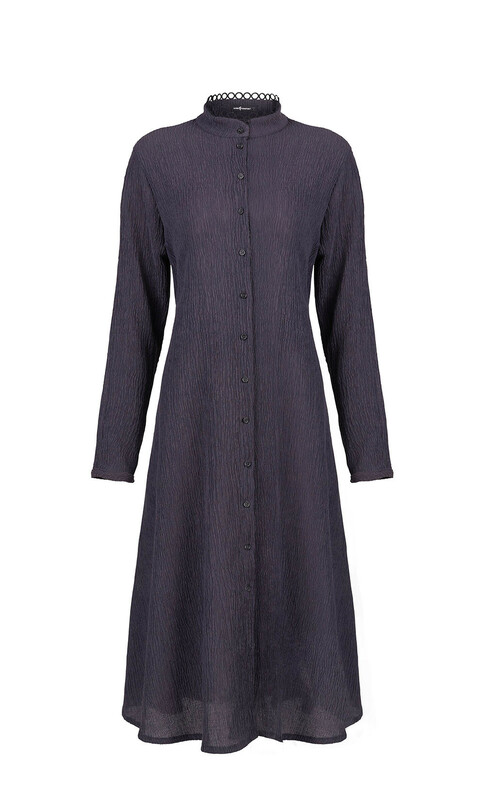 A long sleeved, buttoned dress with a lightly crumpled texture. With an embroidered trim neckline and a bow embellished back, this dress reflects the designer’s meticulous attention to detail. Available in black and grey violet.